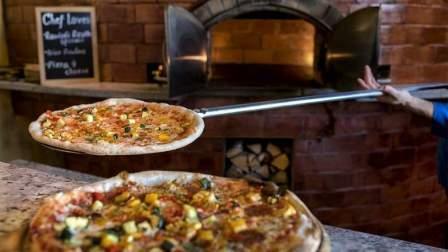 To celebrate their brand new pizza menu, Ricetta, the Italian restaurant at Four Points by Sheraton Bur Dubai, will be serving take away pizzas for Dh1 only on Friday, September 15 to the first hundred walk-ins, the restaurant confirmed over phone to KT. Guests who don't make it within the first hundred need not fret -- they are still eligible for an incredible 50 per cent discount on take-away pizzas. The pizza selection at Ricetta includes Capricciosa, Pescato di Mare, Rucola, Etna and Vegetariana. What's more, guests can also enjoy drool-worthy DIY pizzas by creating their own masterpiece! "Pizzas are loved by all and are undoubtedly the most popular section on most Italian restaurant's menu. Since we are surrounded by residences and offices, we felt it was necessary to offer a Take-away and Delivery service for their convenience", said Sanjeev Gohlan, General Manager, Four Points by Sheraton Bur Dubai.